IT'S TIME TO MAKE KATCHEMAK, KIDS!!! Many years ago, I lived in a three flat with an Albanian family who lived on the other two floors. Now, I'm not exactly sure how to spell it. I couldn't find the recipe online for the life of me every time I googled it. So with guidance from Nani who told me the steps, and my own testing of it for five years... here's the way it works. ADVICE 1: If you don't have a half hour to 45 minutes to stand in front of your stove, do not make this. As Nani told me, "You can't step away from the stove when you make katchemak, or it will burn." and seriously, there's no shortcuts in making this recipe. I've tried. Oh how the good Lord knows I've tried... and it NEVER turns out tasting good. 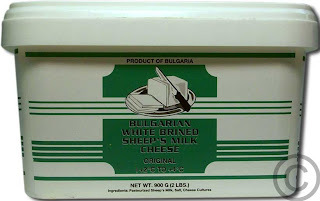 ADVICE 2: It must be Bulgarian feta which is made of - sheep's milk? I just know it's not from a cow. Nani said this as though my survival depended on it, but when discussing this recipe with Greeks I know, I start getting history lessons and all sorts of stuff against feta elitists, so I don't know. It comes in a tub with brine. 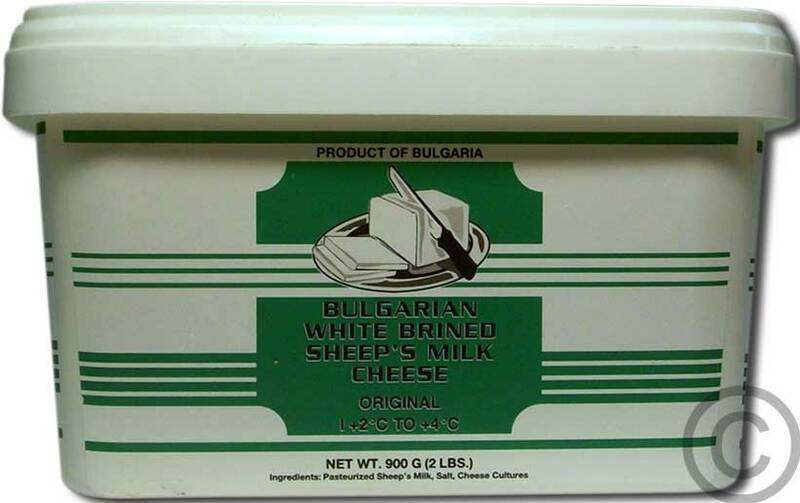 This is the one Nani used, but I just get the Bulgarian feta at the deli counter when it's on sale for 2.99/lb and ask for a container of the brine (they will give you the brine water for free). Any unused feta can go in the brine water, and into your fridge. It will last much longer. 2 1/2 cups "self rising white cornmeal"
Serves at least 4 adults... trial and error to see how much you guys can actually eat. It's very filling. Nani told me: "If you eat this for breakfast, they say you wont be hungry all day in the fields." 1) Put all those ingredients into a HIGH SIDED stainless steel pot. IT MUST HAVE HIGH SIDES. Here I am using a soup pot. In another pot put the 1.5 qts water and turn on the heat. It should be at a furious boil by the time we're done stirring the cornmeal. Do this at the same time, because...remember we cannot walk away. 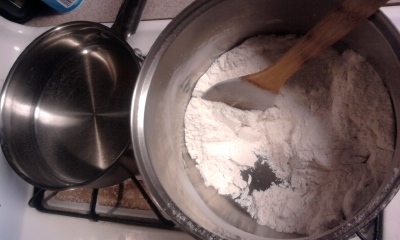 2) Turn on heat to medium high for the dry ingredients and stir... stir... stir.. keep stirring. You might see some smoke appearing...keep stirring. At the smoking point, you will see the cornmeal mixture turn a different color. "This is why we use white cornmeal as opposed to the yellow. so you can see the color change better." says Nani. 3) When the whole mixture is pretty much a tanned/roasted color, take it off the heat (preferably under a range vent you turn on). Now comes the crazily dangerous part. Oh I forgot to tell you there was some crazy danger involved?! Pour some of the boiling water into the cornmeal mixture. But you must stir, or you'll get clumps instead of smoothness!! Pour Maybe a couple cups of liquid. STIR CAREFULLY but with determination! This is where I have been burned more times than I care to say. Yes, the water will jump, and pop and hiss, and cornmeal seems to fly everywhere. This is why we used a pot with high sides. You can either wear an oven mitt, or as I sometimes do, pull my hand into my sweater, and hold the wooden spoon with my sweater covered hand. When the water has been absorbed by the cornmeal, pour more water, and MIX again. 4) Put Cornmeal mush back on the range, and turn on to medium-low heat. You will add water and stir a few times until it is at the consistency below. YOU MAY/MAY NOT USE ALL THE WATER. I Just made a sweeping generalization because I never know how much I'm going to use! You just want to do this until the cornmeal is soft enough but isn't a watery slurry. Taste it. It will taste a little bitter, but we're testing for texture right now... is it grainy? Add more water. Keep stirring!!! Needs salt? Add it now. Keep stirring!!! Too bland and soft? Don't add water, but continue to stir and cook until some of the water has evaporated. Yes, it is hard to stir, but you MUST PERSEVERE ON! YOU CAN DO IT! Turn off the heat (Aaaargh! My tendonitis!). 5) In a small frying, put the 1/2 cup of oil in it. Heat it up until there are ripples in the oil. Pour this onto the cornmeal mixture. It will pop! it will hiss! it's craziness! Use oven mitt, hold spoon, and stir with fierce perseverance! This oil is the difference between it tasting bitter, and it tasting like Frito's. After all the oil has been mixed in evenly, pour this out onto a plate. 6) Serve with slices of raw sweet onions, and Bulgarian feta cheese. See this image below: the plate on the left has the Katchemak, and that's how it should look. Another satisfied Customer! The kids BEG for this every so often for breakfast. In the very beginning when I tried to make it, it was ALWAYS too dry. Not enough stirring. Not enough adding water and stirring it in a way where ALL the grains of cornmeal could absorb the water, so there'd be dry little pebbles. BLEAUGH. Don't give up! It still happens to me sometimes. That's ok, too. It's a little too much water, but tastes alright. Honestly better to have too much water than too little and be eating sand. You'll get better with more practice. We'll cook it just as good as Nani. Maybe that's why she made it so deliciously... she's had SO many years of experience with the water ratio and all that stirring. Love you, Nani and Jisho!